The US has a great chance to advance past the Round of 16 this year. Had things been a little bit different they would be playing Germany today. But you know what? I like their chances if they had to do that too. I don't know why, just do. As it is they face Ghana. A team having some trouble scoring goals, unlike the US who is doing a pretty darned good job at scoring great goals at amazing times, but not enough to them them off the average of slightly over one goal per game they have historically at WC events. So what's this game going to look like... Historically Ghana actually has a pretty stout defense, even in this WC. Goals against per game is less then one (0.86). The US (even with updated stats, including this year) is still floating dangerously close to 2 goals allowed per game (1.93). This year they have only allowed an average of one per game through 3. 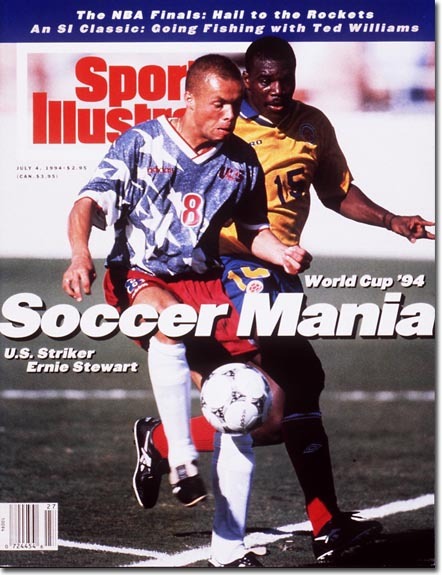 I think that Ghana will play it tight, but test the US defense more then they have other teams this WC. The US needs to be careful with that. A goal may be all Ghana needs. I think the US will really be paying attention to how Ghana starts the match. If Ghana gets aggressive early with the thinking of scoring an early goal then settling back then the US needs to strike at that time. Ghana plays a very tight game, with statistics very similar to a team like England. The US has a scary variability factor in terms of goals for and against. Most of the things I'm reading have Ghana edging out the US. Their reasoning seems to be inline with what I have here (or, I should say; mine seems to be in line with theirs). A game can go anyway. This one? The US has shown so much heart this year and it is easy to think that anything is possible after their last two games. I like the 2-1 win for the USA. The US catching Ghana on a counterattack. I hope that is it. 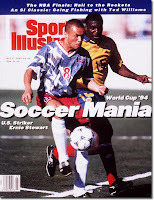 HERE is a link to a Sports Illustrated from 1994. Check it out.